Though less likely to occur than in a nursing home, patients in Residential Care Facilities for the elderly (RCFE’s), Assisted Living Facilities (ALF’s) and Group Homes are still at risk for developing bed sores — and other signs of physical neglect. Likely in response to a ballooning elderly population and the extreme expense associated with nursing homes (skilled nursing facilities), these nursing-home-alternatives have popped up across the country promising to provide supervision and assistance for seniors who may no longer be capable of living completely independently. 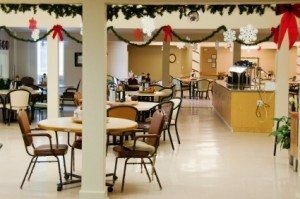 While some of these facilities indeed fill a crucial role in providing care for many seniors, other Residential Care Facilities and Assisted Living Facilities are simply over-stepping their bounds when it comes to caring for people who may require more assistance — or medical care — that they can not legally provide. Yet in other circumstances, some Residential Care Facilities, Assisted Living Facilities and Group Homes continue to care for people even after their strength has declined to the point where they require more intensive intervention and regular medical care. In particular, the well-being of these inappropriately placed individuals remain extremely tenuous as they remain reliant on facilities that were never intended to care for particularly needy or vulnerable people. In some cases, staff may not be trained in caring for the needs of a physically or psychologically impaired person. Importantly, laws prohibit these facility from providing medical care and treatment to their residents. Consequently, we are seeing situations where patients of Residential Care Facilities, Assisted Living Facilities and Group Homes go neglected as their medical needs remain unmet. Bed sores (similarly referred to as pressure sores, pressure ulcers or decubitus ulcers), are just one of many physical emblems of neglect that we see when these patients are inadequately cared for in these particular settings. If your loved one has developed bed sores – or other signs of neglect – during an admission to any of the facilities discussed above, you may be entitled to pursue a lawsuit on their behalf for resulting pain, medical expenses, and disability. Given the fact that many of these facilities have licensure that can be tricky to determine, you may wish to contact a lawyer who regularly works on pressure sore cases involving alternative living arrangements such as Residential Care Facilities for the elderly, Assisted Living Facilities or Group Homes, who can advise you of your rights.